Cruise Hive is here to give you a quick rundown of the latest gratuity rates from 5 major cruise lines. Gratuities is the amount of funds passengers give to the cruise line and then in turn given to crew members. The crew who benefit from gratuity service charges include housekeeping, bar, and dining departments. The funds will usually be automatically charged to a guest’s onboard money account at the end of the cruise but can be changed if needed. Whatever happens during your cruise please don’t remove or lower the gratuities on your account at the end of the voyage. Crew members work long hours and deserve as much as possible. Carnival so far suggests the lowest gratuity service fee but makes sense due to the family friendly target audience. The cruise line is charging $12.00 per guest each day no matter what stateroom a passenger is booked in. The Miami-based cruise line has broken down the fee for certain types of crew members. $6.10 will go towards the dining room services, $3.90 will go towards housekeeping services and $2.00 will go towards other onboard services including kitchen, entertainment, and various hotel departments. Gift Shops, Spa and Casino are not usually included in the gratuity program. Gratuities will also be added automatically to any payments made onboard at 15 percent. Royal Caribbean decided to increase its daily gratuity rate from May 1, 2016, by $0.55 for standard staterooms and suites. So from that date, all guests will be charged $13.50 for standard suites per day and $16.50 per day for suites. For NCL the gratuities or also known as service charge is currently $13.50 per guest for Studio, Inside, Oceanview, Balcony, and Mini-Suite categories. For those guests booked in suites and the Haven, categories are charged $15.50 per person. Only guests over 3 years old are charged the service fee. From April 1, 2017, the rate will increase which will also include those who are sailing but not bookings made before April. $16.99 USD per person per day The Haven and Suites; $13.99 USD per person per day for Mini-Suites and below. Norwegian Sky – $21.99 USD per person per day for Suites; $18.99 USD per person per day for Mini-Suites and below. Princess adds the gratuity charge automatically each day to each guests account. At the moment the cruise line is charging $15.50 per day for suites, $14.50 for mini-suites & club class and $13.50 per guest for interior, oceanview, and balcony staterooms. All the usual crew members will reap the benefits of the service charges including housekeeping, dining, and bar staff. The cruise line just like Carnival also charges a 15 percent gratuity when purchasing something at the bar or from a bar waiter. 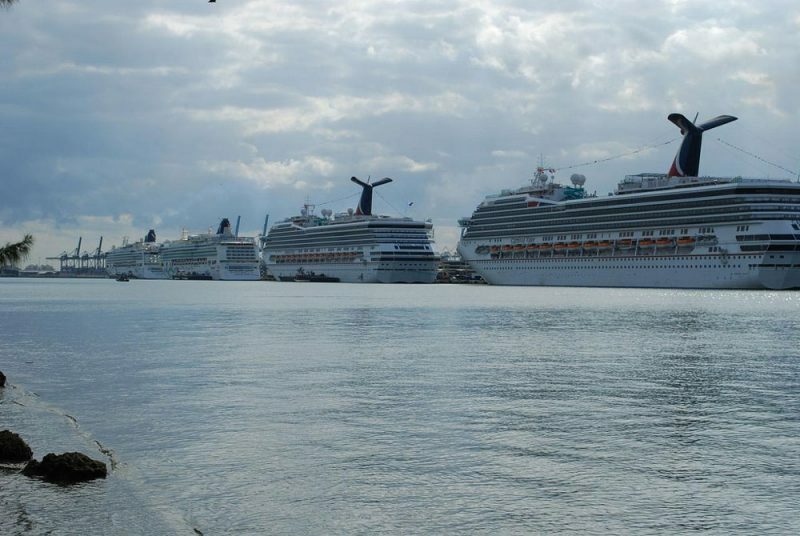 The cruise line increased its gratuity rate from December 2015. For the interior, oceanview and verandah staterooms each guest per day is charged $12.50. For all suites, Holland America is charging $13.30 per day for each guest. Holland America also charges 15 percent when a guest buys something from the bar. Several departments will gain the benefits of the gratuity service charge including room steward and dining room staff. Just like other cruise lines, Holland America is increasing gratuity amount as of May 1, 2017. $13.50 will be charged for interior, ocean-view and verandah staterooms. $15.00 will be charged daily per guest for Suites.